In Japan released an updated version of the robot for home, called Paro, which is intended to provide a therapeutic effect on the human nervous system. 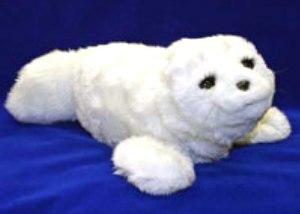 Novelty is a small, white seal, which is covered with tactile sensors and can react to touch and voice. New robot has a very pleasant and soft surface, which can carry out the analysis of external influences. It was developed by a team of engineers and doctors of the National Institute of Science and Technology of Japan. The new version of the most perfect and it can take stress and irritability in men as well as the robot can act as a partner for those who are lagging behind in mental development. Price of robot will be about 6 thousand dollars.